Lurching down the round trying to fumble through the gears, terrified of all other traffic, progressing at a speed of 33km/h everywhere… yes, there are some stereotypical tropes about being a learner driver, but it doesn’t have to be like this. 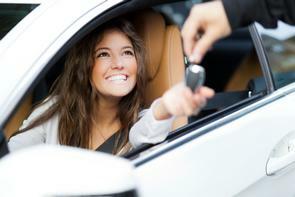 As long as you’ve got good hand-eye co-ordination, you’ll master driving sooner rather than later. And, no matter what skill you’re talking about – playing the piano to concert standard, open-heart surgery, negotiating the Walkinstown Roundabout at rush hour – everyone has to start learning somewhere. Truth be told, even the excellent Mk4 (1996-2002) will be getting a little crusty around the arches nowadays, so you’d be best off looking at the stolid Mk5 (2002-2008) or the lovely Mk6 (2009-2018) for your first-ever set of wheels. Little tip: the Mk6 was prettier pre-facelift, so look for cars registered before 2013. 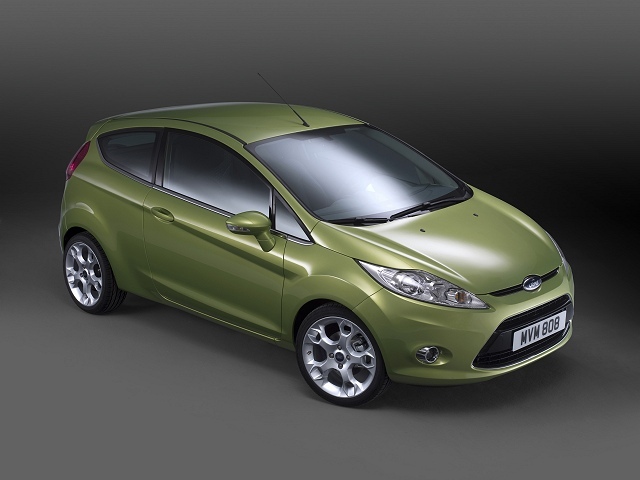 And avoid the Zetec-S or ST models, because you’ll never be able to insure them. This used to be a driving school staple, especially in its bubbly Mk2 guise (known as the ‘K11’ and sold from 1992-2002), but you’ve got about as much chance of finding a decent K11 these days as you have of finding someone who thinks Brexit is a good idea. You therefore need to look at the Mk3 ‘K12’, from 2002-2010, or the Mk4 ‘K13’, from 2010-2018. The problem with the Mk4, though, is that it wasn’t a very good car new and it certainly isn’t now. 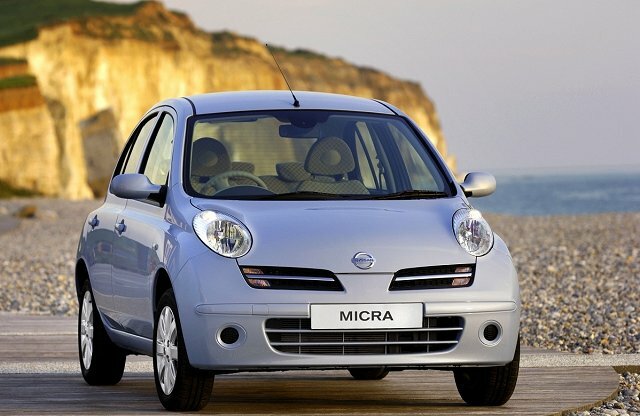 Luckily, the Micra – being a Nissan – is reliable enough that the Mk3 should be a good bet; and it has plenty of wheezy petrol engines to choose from, which will a) not cost you the Earth to run and b) won’t get you into too much trouble, unless you’re trying to join fast-flowing traffic from a side junction in a hurry. The Fiesta’s nemesis. Duelling throughout the recent annals of motoring history, the perception is that the Opel is not quite as good as the Ford. And… that’s actually true. However, this is not to say that the Corsa has ever been a bad machine, because it’s capable, pleasant and present in the used-car market in simply vast numbers; perhaps its biggest crime is that it lacks for much in the way of character or pizzazz. Opel uses the letters of the alphabet to denote generations of its cars, so while the Corsa C (2000-2006) was a nice enough motor, it’s a bit too old for consideration. 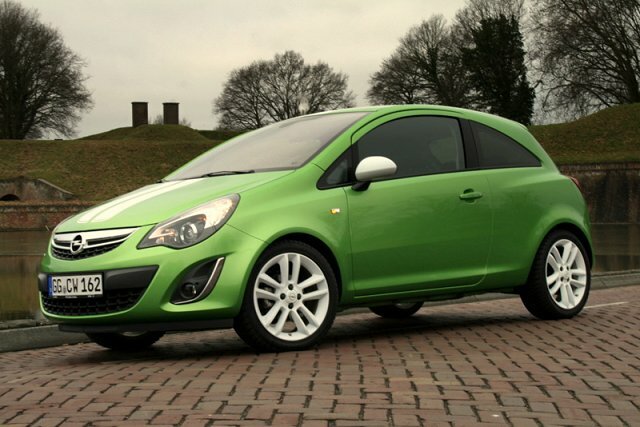 The Corsa D, however, built from 2006-2014, is just about perfect for the learner driver – especially if you can find either the 60hp 1.0-litre three-cylinder petrol model or the 75hp 1.3-litre CDTi turbodiesel, neither of which could pull the skin off of a particularly feeble rice pudding. The Corsa E is still the current model you can buy in Opel showrooms today, although looking at early 2014 examples might be a good shout. If the Opel Corsa lacks for chic, the Peugeot 208 makes up for it in spades. It will present an unusual environment for a learner driver, because it has a tiny steering wheel – this was the first model to use Peugeot’s i-Cockpit philosophy and not everyone gets on with the interior ergonomics. The Mk1 208 is about to be replaced by a really striking Mk2, so prices might be on the tumble on the second-hand market and it has smooth, easy-going manners that will be friendly and benign to a learner driver. You want to look for the 1.2-litre three-cylinder PureTech petrol model with 82hp – this means its charismatic little engine is shorn of the turbocharger that otherwise boosts output to 110hp, meaning a learner driver won’t be overcome by a sudden ‘surge’ (we’re exaggerating a bit, here...) of forced-induction torque. And don’t bother looking at the 208’s immediate predecessors, the 206 (1998-2006) and the 207 (2006-2012), because they were rubbish. Especially the 207. Another vehicle for which most people’s residual mental imagery will be of it slathered in driving school stickers and sporting a huge red ‘L’ on the roof. The Clio is another small slice of French flair and it’s a fairly reliable car, despite the reputation the Gallic manufacturers have for fragility. That said, the pretty Clio II (1998-2005) will only survive these days in its most potent Renaultsport guises, and that REALLY isn’t the car for a learner to be driving around in. Unless they’re planning to be a competition-grade driver. 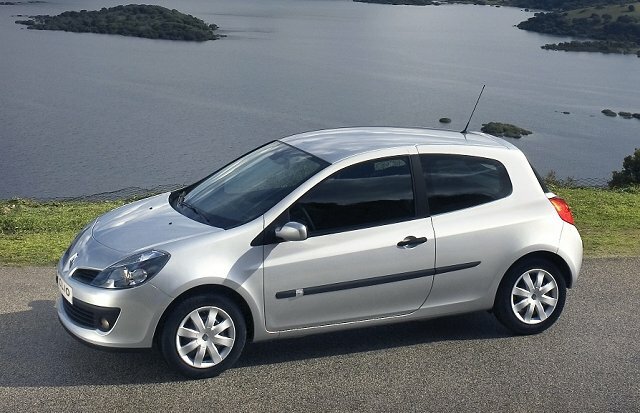 So it’s the Clio III (2005-2012) that is most clearly in our learner’s crosshairs, although the Clio IV (2012-2019) is also worth a look. Most regular Clios have less than 100hp, making them perfectly placid little run-arounds, and they also have good visibility all round, so there’s really no excuse for hitting that kerbside bollard that just ‘appeared out of nowhere’.